The Oregon Coast Chamber Music Society (OCCMS) exists to bring chamber music back into the home where it began. Those who attend these splendid performances help to enhance cultural education through music in an intimate setting, to support local and national musicians and to assist aspiring musicians of all ages. Alexander Tutunov is widely recognized as one of the most outstanding virtuosos of the former Soviet Union. 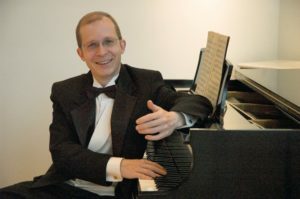 First Prize winner of the Belarusian National Piano Competition and winner of the Russian National Piano Competition, Tutunov’s playing was described by Soviet Culture, Moscow, as “exhilarating and inspired, demonstrating a unique talent”. Dr. Tutunov maintains a busy performing schedule in Europe, China, Mexico, and the United States as a recitalist, soloist with orchestras, and on radio and television.